Sinclair User published their highlights (and lowlights) of the year in the January 1989 issue. 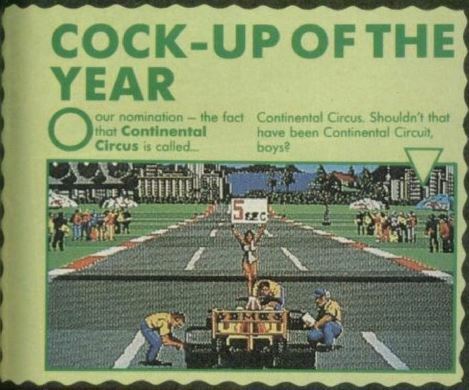 Should this Virgin release have been titled 'Continental Circuit?' As far as I know, yes. I think the finger of suspicion points at clumsy translator back in Japan but if anyone knows better, do please let me know.